I had the pleasure of interviewing entrepreneur and social media star Olya Hill of LivingNotes, one of the most followed Instagram influencers in the family and lifestyle space today. The savvy Mom of seven has more than 500,000 followers, averages 20,000 likes per post, and brings in 75,000+ views per video. 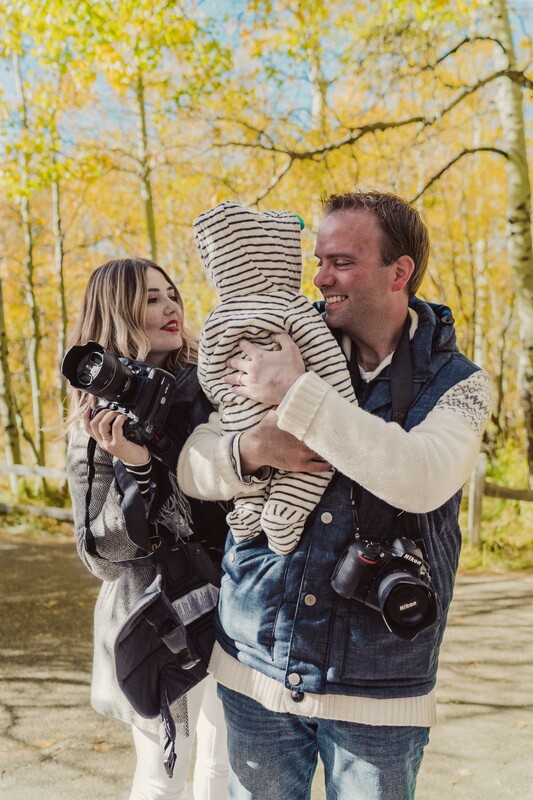 Olya has worked with respected brands large and small, from Target, Disney, and Lord & Taylor, to Olly Nutrition and OSMO, and has managed to cultivate an even following of both Mom’s and Dad’s. Olya is beloved in the U.S. and abroad for her vibrant visual feed, bilingual posts, hilarious baby moments, product advice, and heartwarming family. Her ability to adapt and grow in the ever-changing realm of algorithms and social media has us wondering, how did she do it? We sat down with the star to find out. About LivingNotes — where do I start! There are so many sides to what we do! Social media mixed with internet opened a new world for me, a world that is not limited by physical borders or even languages. Today, we have a strong community that is supportive, a community that has a mission, and seeing the results first hand is one of the best rewards we could ask for. But of course it didn’t start out that way. LivingNotes was initially created as my personal outlet where I shared bits of my story. I had to create a new path that didn’t really exist in my surroundings to get to my dream. As I started to share my experiences, I received more and more positive feedback from people, which led my family and I to create what we have today. LivingNotes is one of the largest profiles for families with a purpose to support, connect and inspire all, but particularly women and mothers, as we work to find our own paths to happiness and success. My goal is to give confidence to that girl or boy, man or woman, who dreams of being something more than what others say they can be. I’m also dedicated to parenting, new and experienced, to navigate the “baby world” with fun and confidence. Time flies so fast! And then, of course, there’s just my personal outlet of LivingNotes — me just… being myself. Sharing my thoughts. My struggles and achievements. Laughing and crying together with a readership that is not really my following — they are friends, and some are, truly, a family now. I am passionate about what we do. I am a workaholic who puts in 22 hours into projects out of 24 hour day (typing this at 3:29 am). I am also a working mom who believes in balance, being present in kids lives, babywearing, etc. About 2 years ago I was on a conference call. A very important one. With a CEO of one of the global companies we were doing a collaboration with. There was a moment during an intense discussion, where everyone paused for a second, absorbing the information. I look down. My 8 months old baby, who was sleeping in a baby carrier on my chest and who I completely forgot about during the heat of the conversation, and was happily smiling at me, babbling RIGHT into the microphone. I just about died, but she was the best ice-breaker. Everyone laughed and we closed the deal on the most beneficial conditions for all involved, LivingNotes’ highest paid project up to that moment. Here is to bringing your kids to work! We are big believers in business for a good cause. Today, I am thrilled to see many companies create campaigns to support charities, educational scholarships, etc, and we actively encourage our partners to do the same. 2017 was a great year in that regard! We were able to be active participants in several charitable campaigns, and let me tell you, there was no better Christmas gift for me and all of us on the LivingNotes team, when we received a “thank you” video letter from kids who were able to receive scholarships for their education. Having come to the U.S. with a little over $300 in my pocket for expenses, I know better than anyone else what it is like to build your own path to happiness. It was when I was going from one admission office committee member to another, trying to get all the necessary approvals for a scholarship to cover my university tuition that I promised myself that if I ever have the power and ability, I would do what I can to help others get their education. So far, we have been able to contribute and I have big plans to take this notion even further. The other part that I love about the possibilities LivingNotes has opened for me, is the ability to empower and inspire women to keep going on the path they wish to have, to break stereotypes and to help other achieve their dream and be happy. There are many stereotypes that I personally had to break through on the way to my ultimate happiness, and my path has not been of the easiest kind. I often wondered why my life was so hard, until I started to hear back from other women that my example gave them strength to face their own personal challenges. If even one woman can gain the strength to move one step closer to her happiness, then it makes it all worth it for me. Honestly. Have a mission to help others first, a vision of how, second. Critique is worth listening to only when it comes from someone who can perform better than you. Disregard all other negativity. Plan. Overload the schedule. Try to complete it all daily. Strive for perfection every time. Expanding LivingNotes into 4 stand-alone pillars. I can’t say much, except for the fact that I am extremely excited about every one of them, and believe that at least one will be revolutionizing to influencer marketing. Then, creating centers for women across the globe, especially working moms and women-entrepreneurs, where they would be able to get support, information, and necessary help, as well as to connect with other like-minded people. There are more exciting projects, but these three would have to be my personal favorites. There will be those who support you and those who don’t. Don’t let the latter get to you. Keep going forward. I ran into the the wall of, “let’s put it this way” — of not quite constructive criticism. It happened at the very beginning and made me doubt if I really wanted to do what I am doing now. I wish I had someone tell me then to just run for it no matter what. We would be able to accomplish so many more good things by now if I didn’t have that moment of hesitation. 2) Don’t ever assume anything. Ever. I made a mistake once of assuming something, based on a common belief my surroundings of the moment shared, which lacked the factual knowledge. I learned my lesson the hard way. It was a good one though. I now never assume. I only operate off 110% solid facts in front of me. 3) Be loyal to your mission and vision and make the first step to collaborate with others. I was very surprised to learn how many companies have actually been open to our suggestions and were willing to modify their campaigns to make room for collaborations. 4) No matter how hard you strive for perfection, you WILL fail at least once. Pick yourself up. Dust off. Apologize, if necessary, and work harder than ever before to make up for the slip off. I will always remember the project we worked on that I put close to 100 hours to create. I wanted to double ensure the client was happy. I created imagery with amazing product focus that were interesting and captivating. The day after turning the drafts in, I’ve learned that I used the wrong product for this project ( there were 3 to choose from ). There was no time to re-do the work, so they had to cut the best of the images out. I felt like I was burning to ashes with shame. Being extra-creative is not always the best path. Sometimes you just need to follow the guidelines. 5) Look back and make your results be your source of energy. I think it is so easy to get lost in trying to be better. As I’ve come to learn, there is never a “roof” you hit. The higher you climb, the more space opens up for you. It is very easy to become drained, there never really is a finish. It is always a progress. Sometimes it seems that nothing you do is good enough and you just need a “boost” to keep going forward. I wish someone told me earlier to take a pen and a paper, write all the good results down and look back at how much we have achieved. To me, this is the best “re-energizer” ever. Seeing the positive feedback from people, their personal experiences and knowing that we helped them to get there — a reward that is worth it all. Oprah Winfrey. Her life story, her dedication to her mission, her spirituality, her talent, her hard work and work ethic — all of this is my “oxygen.” If I ever had a chance to meet her in person, it would be one of the most memorable highlights of my life. Gwyneth Paltrow. I admire her entrepreneurial path and dedication to all things health-related. We think alike in many, if not all, ways when it comes to health and body. I am a big fan and supporter of Goop, and meeting Gwyneth and learning a little more about her path would be wonderful. Ellen DeGeneres. Her path to success, her views on relationships and her sense of humor are so refreshing and inspiring. Reese Witherspoon. I admire Reese in many ways. As an actress, as a creative, as a producer, as an entrepreneur. But I admire her as a hands-on mother and a working mother, above it all. She often is my motivation. Thank you for this amazing opportunity once again.